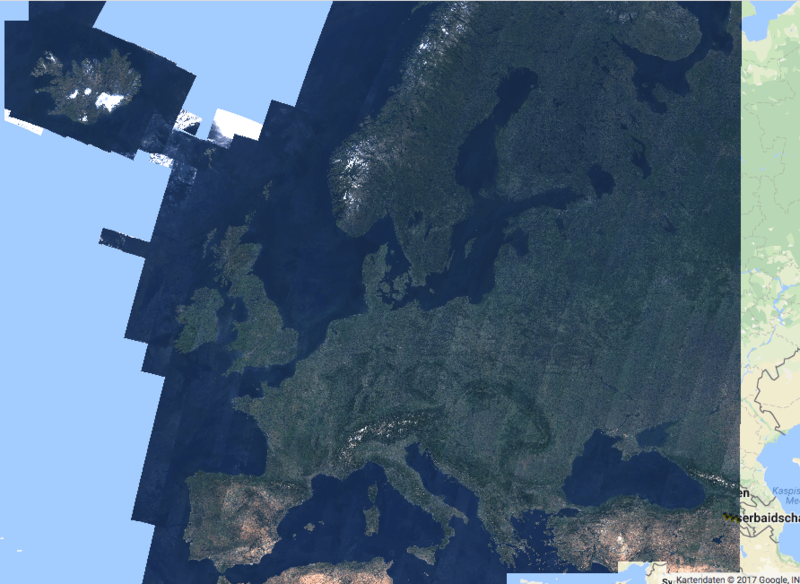 Today I am going to give you a short introduction into the Google Earth Engine and show you how to create a cloud free mosaic of Europe using Sentinel-2 data in just one minute! Yes, literally one minute! The Google Earth Engine is a “computing platform that allows users to run geospatial analysis on Google’s infrastructure.” This means that you don’t have to download any data yourself and that you can perform high speed data analysis of all kinds of available satellite imagery on your laptop, computer or even your cell phone if you wish by using the computantional power of Google. No worries, it’s free of charge if you are a researcher or simply want to explore the possibilities and power of the Google Earth Engine. However if you want to use it for commercial purposes, you should get in touch with Goolge first. Google Earth Engine offers a couple of interfaces. In our case study we are going to use the code editor interface. 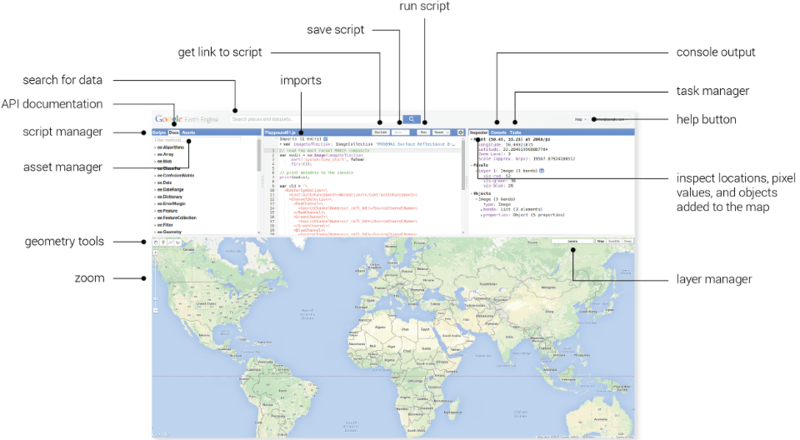 Via this interface you can make us of a variety of already existing code chunks which will help you with your analysis and the processing of all kinds of satellite imagery. You can find a short intro into the Google Earth Engine API here. // Select the median pixel. // Select the red, green and blue bands. The result is a Landsat 7 mosaic over Colorado and Denver. You can execute the code by clicking the “Run” button. It takes only a couple of seconds to compute! Amazing! 4. Pushing the limits – Europe Sentinel-2 cloud free. How long will it take? Let’s test how long the same procedure will take for the entire continent of Europe. And lets use Sentinel-2 instead! Can i use this code for Indian region? Thanks! You can use it for any region. You just need to adapt the extent of the polygon variable. By taking the minimum value an issue is that you get the cloud shadows. Hey Simon! Thanks for the comment! You are absolutely right! The post is meant as a proof of concept and shows the computantional potential of GEE which is stunning. However, I was still stunned that “min” performed that well. I was expecting many more artefacts!! Thank you so much for the presentation. Please, How to assign coordinates to polygon? which presentation are you refering to? Or if you prefer to draw a polygon, you first delete the existing geometry variable by clicking on the small trash can symbil right next to the variable and then simply draw a new polygon on the map. If you need any assistance with that, let me know. I have adapted your instructions to my area of interest and it works perfectly! Now, what would be the best way to export all S2 images that are composing the mosaic? I would also like to export 4 bands (B8, B4, B3 and B2) instead of 3. Do you want to export the final mosaic or all the images that are composing the mosaic? First, you need to draw a polygon around your desired area of interest (pakistan) inside the goolge earth engine. Thank you for this, it helped me. Is there a way to calculate NDVI for selected region? If so, could you take some time to write the code?